Now that I'm full time at my church (RedeemerOmaha.org), one of the additional responsibilities I've assumed is managing our internet presence. That includes the web site, blog, Facebook, and Twitter. So on a whim and in an effort to find some Twitter content, I Googled "Tweetable Tim Keller"—along with a few other notable names—and found that nothing worthwhile came up. So after investing a little more work than I'd planned, here's the first in what could easily be a whole series of "20 Tweetable" posts. P.S. Even though my spell-checker still doesn't like it, "tweetable" was recently added to the Oxford Dictionary, so grandma will soon be able to look it up in her hardback. To be holy is to be wholly God's. Easter proves that Christmas was real. If Jesus rose from the dead, then you have to accept all that he said. The more you understand how your salvation isn't about your behavior, the more radically your behavior will change. The glory of the Christian life is that we have a hope that overwhelms grief. It doesn’t eradicate it. It sweetens it. It overwhelms it. To take a person out of slavery takes an instant. To take slavery out of a person takes a process. How does Satan accuse us? By causing us to look at our sin rather than our Savior. Real change won’t happen through ‘trying harder’ but only through encountering the radical grace of God. The gospel makes you others directed, because you already have your prize. Every religion has a prophet who's pointing people to God. Jesus is the only one who says "I am God and I am coming to find you." If you seek righteousness more than happiness, you'll get both. From ancient times, the God of the Bible stood out from all other gods as a God on the side of the powerless and of justice for the poor. Jesus' death was necessary if God was going to take justice seriously and still love us. To be merciful, God must also be a judge. Gifts are abilities God gives us to meet the needs of others in Christ’s name. We have been saved from the penalty of sin. We are being saved from the power of sin. We will be saved from the very presence of sin. The gospel has two parts. It has the part that says you’re a sinner, and it has the part that says you’re loved and accepted. Don’t confuse your agenda for God with faith in God. The happy ending of the Resurrection is so enormous that it swallows up even the sorrow of the Cross. There is no sin that is a match for God's grace. Feedback: Who would you like us to feature next on a future "20 Tweetable"? 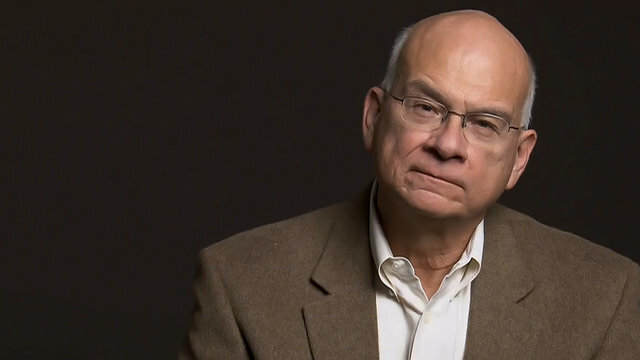 Can you say "20 Tweetable Tim Keller Quotes" five times fast without calling him "Twim Keller"? I can't. "It is possible to avoid Jesus as Savior as much by keeping all the Biblical rules as by breaking them."